Google Chrome usually shows a T-Rex dinosaur when your computer or phone is not connected to the Internet. A developer has invented a game over this offline message. It is considered that this T-Rex dinosaur is not reaching the internet and similarly Chrome is having trouble reaching the Internet. May be the offline message screen doesn't show you any interest but you will be amazed to play a game using the same screen. You have to press the space bar to activate or in smartphone you have to tap once and your Chrome tab will quickly turn into a wonderful addictive game. The game shows that the T-Rex will run / jump and your mission is to prevent it from hitting or bumping into the saguaros on its way. 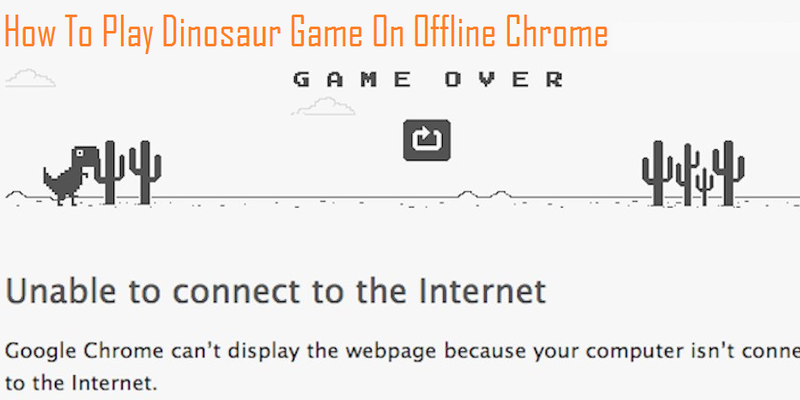 The dinosaur game is available in Chrome for Desktop and for Android as well. Here is an amazing option which lets you switch to airplane mode and give it a shot.